I won this book in a giveaway. The giveaway was listed on goodreads. The giveaway was listed by the publisher. Synopsis: A blind girl has a gift; A father's heart breaks; A young boy in Africa might die; The step-children want her dead husband's money ... Read these short snippets of fiction and be prepared to gasp, giggle and groan. Sally Hanan's insight into the human heart brings depth and richness to her stories, many of them written in a poetic style of prose that flows and gurgles like a country creek. Review: Firstly, I would like to say that I am grateful that I won this book in a goodreads giveaway. If I had not seen this book up for giveaway on goodreads then I would not have known that this book existed and if I had not won then I most likely would not have bought this book. I do not normally read short stories but this book kept calling out to me from my shelves. 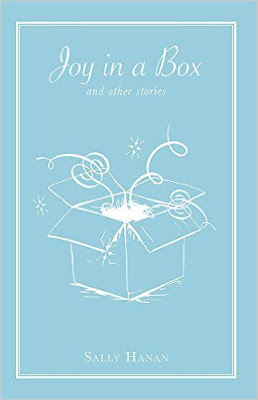 This book is a collection of short stories which I went into thinking that I would not enjoy them but it turns out that I was pleasantly surprised when I found that I enjoyed them. I found it difficult to put this book down and stop reading it. I finished this book within a day which is an achievement for me as I find it hard to focus on one thing for an extended period of time. I would recommend this book to anyone who enjoys fiction and short stories. As I won this book I will be keeping it as a part of my book collection forever.